In the opening moments of the first Fallout game, your character - someone who has lived their entire life in a secure vault, hiding from the world outside - is told that they must leave the vault in search of a MacGuffin to keep their little underground society alive. You exit the thundering vault doors and fight off a few combat tutorial-ish cave rats as you make your way to the surface. At the end you find an opening that leads to the outside world, and your character sees the light of the sun for the first time in their life. At this point, the player has no idea what they're going to find when they exit the cave. There's an entire world of mystery out there, just waiting for the player to discover. 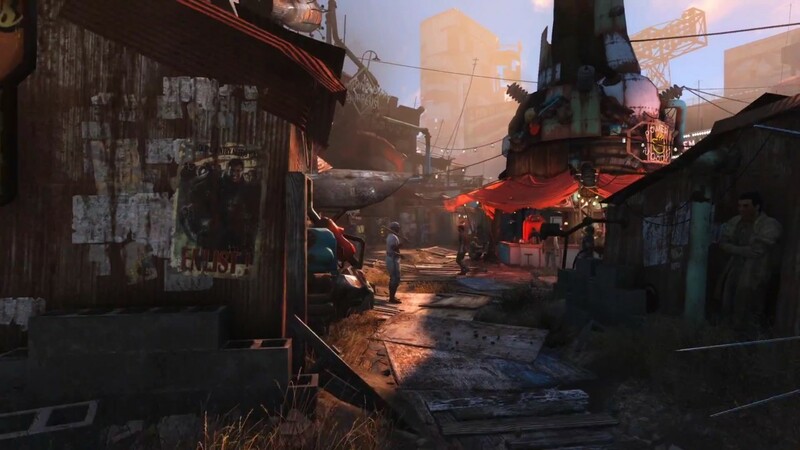 You had no idea what you'd find in the next settlement, the next vault, or the next base. There was a certain suspense and sense of adventure to uncovering it all. And then the sequels came. And now those elements have all the excitement and mystery of running through your grocery list. Supermutants? Check. Power Armor? Check. Ghouls? Check. Brotherhood of Steel? Check. Oh, don't forget the raiders, deathclaws and radscorpions! The sequels concluded that the best way to repeat the excitement of meeting the Brotherhood of Steel was to meet the Brotherhood of Steel again. And again. And again. The strange and alien eventually becomes a familiar obligation, another mandatory stop on the post-apocalypse sightseeing tour. 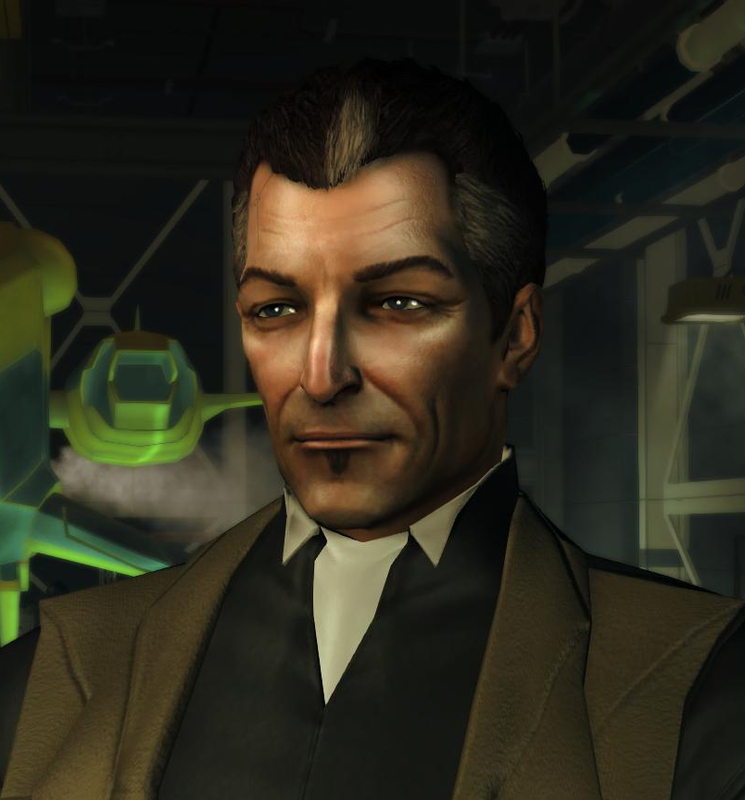 In the first Deus Ex, you start off as a super-agent of UNATCO, a covert government program. It's a bit like a cross between the CIA and the Department of Homeland Security. From there you uncover a small cell of people within that organization that are part of another, more sinister program. And behind them is Majestic 12, an even more secret outfit. Behind them is the Illuminati. And behind the Illuminati is a handful of scheming backstabbers, rogue AIs, mad scientists, supersoldiers, and fabulously cunning politicians, all working against each other for control of the world. Every chapter is a new reveal, another step deeper into the seemingly bottomless and slightly goofy rabbit hole. The sequels concluded that what fans really wanted was to uncover the exact same conspiracy all over again. The second game (Invisible War) jumped into the future and the third (Human Revolution) went to the past, but it's still the same Illuminati, same ideas, and many of the same characters. This works about as well as opening a present, and then re-wrapping it and opening it again. The thrill of anticipation is gone, and the fact that everyone expects you to still be surprised is actually kind of annoying. I'm not saying these games are bad. But something is lost when revelation and mystery becomes an obligation and a routine. I really liked Human Revolution, and I've had lots of fun with Fallout 4 despite its shortage of new ideas. The problem is that I think developers are missing a great opportunity here because they (wrongly) assume we just want the same thing over and over again. Fallout isn't like Mass Effect, where the games are supposedly all part of a single unifying arc. (Whether or not Mass Effect actually succeeded at that is a completely different argument that we don't have time for right now.) Deus Ex doesn't have this single overarching question like "How can we get rid of the Empire?" like Star Wars does. The stories are kind of a scattershot mix of tropes and ideas strung together and told out of order. Which is fine. But then why try to jam the ideas into the same continuity? Why not just allow each game to stand on its own? 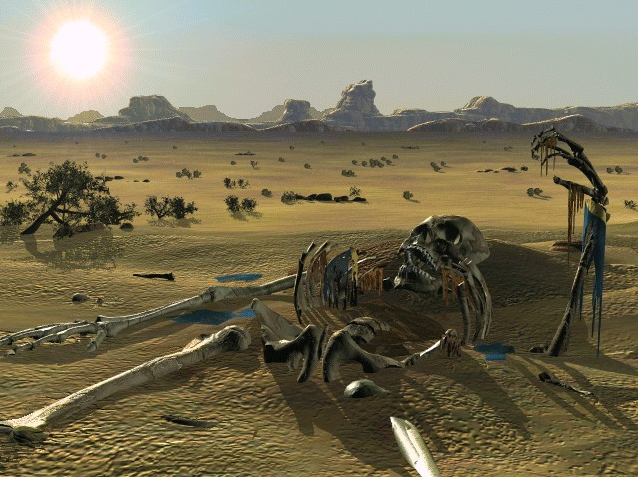 Fallout 4 doesn't benefit from taking place 10 years after Fallout 3. And Fallout 3 certainly doesn't benefit from being set 120 years after Fallout 1. Why not just make every game its own world? Why not let us have the same feeling of uncertainty every time we exit the Vault, instead of always turning us loose to the same promise of Brotherhood of Steel, Deathclaws, and Nuka Cola? Sure, you like the Brotherhood of Steel. I get it. But do you like them because their premise is so interesting? (Doubtful, since their purpose and nature is a little different each time.) Or do you like them because they're people in power armor, blasting their way through the apocalypse? It's not like you're returning to meet familiar characters. Wouldn't a different cult with a different origin and a different name and a different aesthetic also be fun? Wouldn't it be fun to run into someone in power armor and not already know everything about what they're doing and what they stand for? Sure, deathclaws are cool. But wouldn't a new monster with a different look and a different origin serve exactly the same purpose as a quasi-boss, but also have a certain air of mystery about it? It's fun to oppose the Illuminati, but wouldn't it be just as fun if it was run by different people with different goals in a different timeline? I bring this up because publishers seem so determined to focus on sequels. That's fine. If sequels pay the bills, then by all means make sequels. But I can't bear the thought of playing Deus Ex 7 or Fallout 10 and running into the same crap I saw in Deus Ex 1 and Fallout 1, except with better graphics. So many developers (or maybe publishers, it's hard to say) are convinced we just want the same old thing, presented as a series of forced fan-service callbacks. But what we really want is similar gameplay with the same tone and texture. And you don't need to keep recycling the same plot elements to give us that. The Far Cry series proves that players are here for gameplay and tone more than another lore rehash. There wasn't some terrible outcry when Far Cry 3 didn't have "blood diamonds" in it. Fans didn't protest because Far Cry 4 wasn't all about stupid Jason Brody and his buddies. So publishers: It's okay. Wipe the slate clean. Keep the gameplay and ditch the lore cruft. If you invent a new world as interesting as the last (Bethesda: You may need to do some hiring) then fans will love the new thing just as much.